Please read the new improved ordering system! 2. Put in zip code 94118 in the green box in the upper right corner. You can now log in and enjoy shopping with pictures, prices and search features! 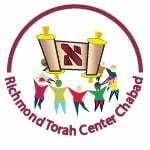 Orders are delivered once a month to RTC Chabad, 423 10th Ave., San Francisco. Please see schedule below. The order usually arrives in the morning, but may arrive later in the day. All items will be organized in piles by family name in the hallway entrance. We regret that we can not offer any refrigerator or freezer space for boxes that are not picked up promptly. Western Kosher can be reached at 323-655-8870 or otorders@westernkosher.com. Please contact Sara Hecht at 415-420-5132 or sarahecht@pacbell.net with any questions. To confirm that your order has been submitted you must receive a confirmation email from Western Kosher. Be sure to submit your order in advance!